Injections of Avastin, Lucnetis and Eylea have become the cornerstone for treating several retinal conditions including wet macular degeneration, diabetic macular edema and retinal vein occlusions. Laser surgery is non-invasive and highly effective. It can be used to treat diabetic retinopathy, limit scarring that results from wet macular degeneration, destroy tumors and other abnormal tissues, and prevent retinal detachments from retinal tears. Laser treatment is commonly performed in the office. Your doctor may use cryotherapy to treat retinal tears and detachments. Cryotherapy freezes the tissue and seals the retinal tear. It is an outpatient treatment. In most cases of retinal detachment, a flexible band, or scleral buckle, is placed around the eye. It lessens the pull of the vitreous on the retina, helps prevent further displacement of the retina and holds it in place. It is often combined with laser surgery or cryotherapy.Â This procedure is usually performed on an outpatient basis in the hospital operating room with local anesthesia. This outpatient procedure performed in the office is done to correct a retinal tear and detachment. A gas bubble is injected into the vitreous cavity. The patient must keep his or her head in a specific position so the bubble will rise and seal the tear so that the retina will reattach. 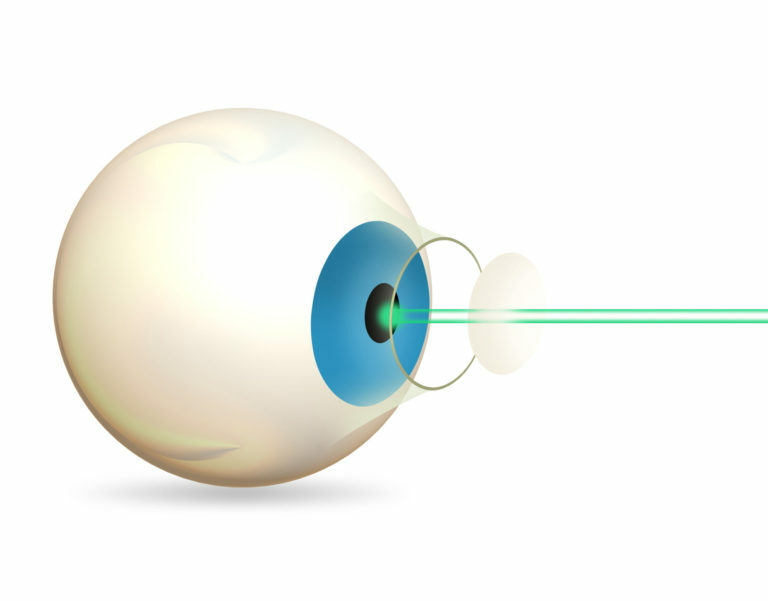 The tear is treated with either cryotherapy or laser to seal the retina in place. This procedure is commonly performed for vitreous hemorrhage, diabetic retinopathy, macular hole, macular pucker or for complicated retinal detachments. This procedure allows the doctor to remove hemorrhage or internal membranes the are affecting the function of the retina. This procedure is usually performed on an outpatient basis in the hospital operating room with local anesthesia.